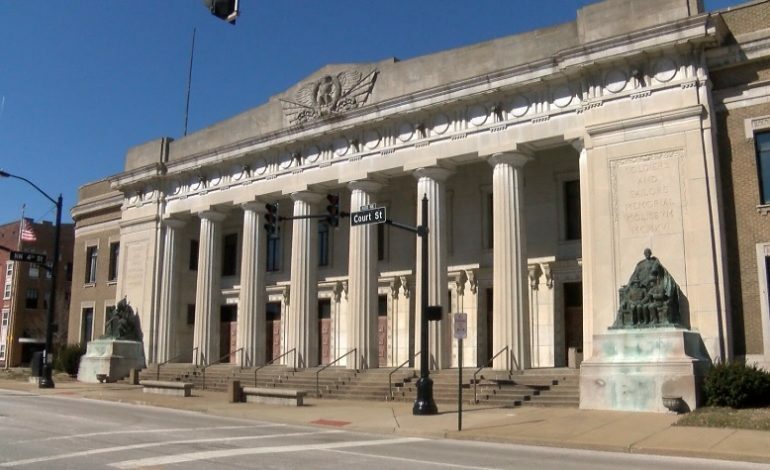 From basketball to big musical performers to bingo and even body slams Evansville’s Veterans Memorial Coliseum has hosted a wide range of events since its dedication in 1917. The 6,600 square foot limestone building was officially known as the Soldiers and Sailors Memorial Coliseum after construction in memory of those who served in the Civil War and the Spanish American War. After the completion of what is now the Old National Events Plaza in the early ’70s, Vanderburgh County officials had no use for the aging structure. General Manager Andrea Stafford says a new generation of veterans would soon be tasked with preserving the monument for many years to come. “Veterans Council said please let us take it over. We’ll maintain it. We’ll keep it open. We keep it running. So, they did. They took it over in 1971. They pay a dollar a year,” says Stafford. On average, the Coliseum hosts 75 events per year. In the 1970s and 80s regional pro wrestling promotions like the continental wrestling association. Stafford shares some of the big-name grapplers who jerked the curtain at the Coliseum. “Jerry Lawler, Bill Dundee, Dutchman Tell, Stone Cold Steve Austin, the Rock, and the Undertaker. A lot of them actually got their start here,” says Stafford. And the list goes on with some of the most compelling live broadcasts shot in the bowels of the building. Stafford says there’s another show happen in those halls now. “We have some celebrities downstairs too. I don’t know if people have died in the building or they have an attachment to it. There is some spooks downstairs,” says Stafford. Stafford describes one of those spirits as a dark entity. That cell is part of a network of tunnels connecting it to the old jail and the old courthouse where prisoners would be transported. Those passages have since been sealed. The 4000-seat coliseum would later play host to the Evansville College Purple Aces basketball team before relocating to Roberts Municipal Stadium in 1950. Although, the event calendar has become a bit thinner in the 21st century the spirit of those veterans and the monument they allow us to enjoy makes this a must see Tri-State Treasure.